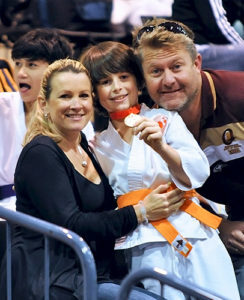 “My son (aged 9) has been at Gold Coast Chito-ryu karate for 4 years now and in that time we have seen him become not only physically stronger but he has also shown great strides in his confidence levels, self-esteem and self-worth. Dylan’s showed improvement in his grades at school and now actively engages in group discussions and activities which he once avoided. Dylan studies karate 5 times a week (by choice), Even when he feels like a day off he pushes himself to go and I can tell by the smile on his face when he comes home from a great training lesson that he has thoroughly enjoyed himself. As a parent I find it a wonderful sport for exerting all that energy boys seem to have endless amounts of. “…..we’re moving to Brisbane. We’ve been hoping to do that for a while, we’ve put an offer on a place which settles Jan 31st. We’ve had interviews at a private school for the kids, which went well. They do Japanese as the 2nd language. Scout was very proud in the interview that he could count to 10 in Japanese, thanks to Karate! You can probably guess that means that due to the distance, it’s not practical for us to train with you anymore. Which I’m quiet disappointed about. There are karate classes at the new school, and we’ll keep training… but it won’t be the same. I’ve been doing martial arts long enough to know when I’ve stumbled upon something special. Training with you made me feel like a complete amateur. Which got me a little down on myself at one point, but then I realised I’ve had a 10 year break, of course I’m going to be “rusty”, and how exciting it was that there was so much to learn and so many things I could improve on. You’ve got a true gift, as a Karateka and as a teacher. It’s inspired me to become a martial artist again, rather than that being “something I used to be”. Scout had so much fun at Karate camp, it was such a great father-son bonding time, we’re really going to miss that this year. Going to miss training with you, thanks for being tolerant and understand with me and my crazy little boy! “Our son had already trained for 3 yrs in karate in NSW and was doing extremely well until we moved to QLD and couldn’t find anywhere decent on the Gold Coast for him to continue. 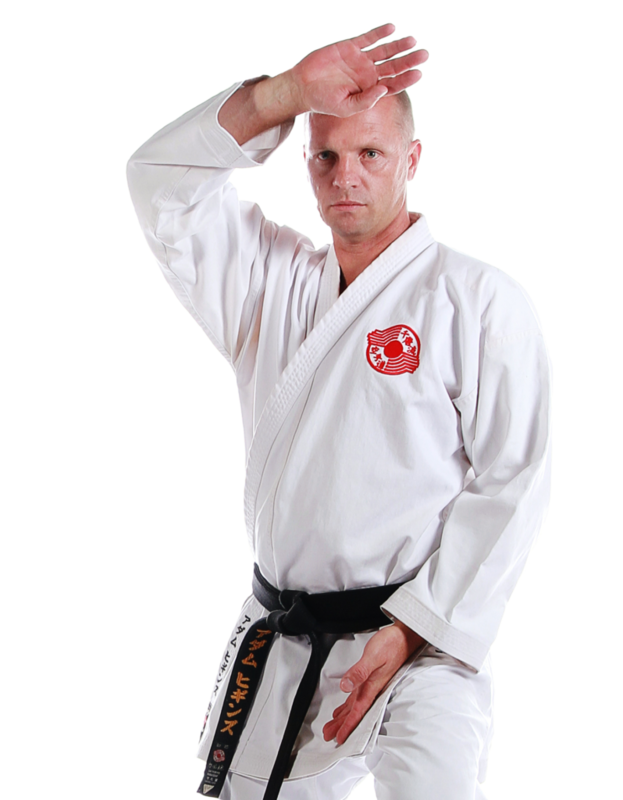 We had tried five different dojo’s until we luckily found Gold Coast Karate and Kobudo Centre. Sensei Adam has managed to spark interest again from our son who now loves going to class again and puts in a great effort just like he used to. Sensei is brilliant with the kids and insists on them being disciplined and respectful. Belts are earned in this dojo, not just handed out. There is also the perfect mix of exercise and martial arts with a focus on health and well being. 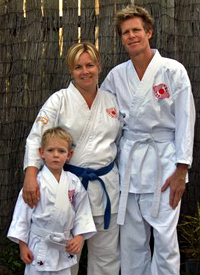 We will encourage our son to continue through to earning his black belt and then beyond. 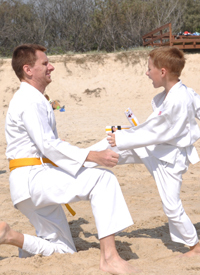 “We originally investigated martial arts options for ourselves and our young children. After extensive research it was clear that the Chito Ryu style, and Gold Coast Karate and Kobudo Centre in particular, offered exactly what we were looking for: a traditional form of karate that would teach us and our children confidence, discipline and self defence in a safe environment that would still allow us to really test ourselves. Being able to train as a family has brought all of us closer together and allows us to set a strong example for our kids. Sensei Adam has an excellent way with the children and helps them reach their potential through calm instruction and encouragement – no yelling or negativity. 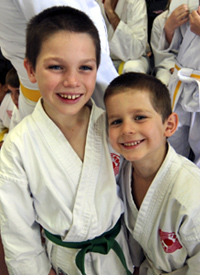 My kids’ teachers have commented that they show greater concentration and confidence at school since starting at Gold Coast Karate and Kobudo Centre. ” Scott and I are incredibly proud of Cody and would like to take this moment to thank and congratulate you on your professionalism, grace, time, patience and all round manner on teaching Cody (and all) the art of karate. Cody has often said that he loves that you always have a smile on your face and that you always seem happy! It has been very comforting as parents to know that he is enjoying you as a teacher and mentor! 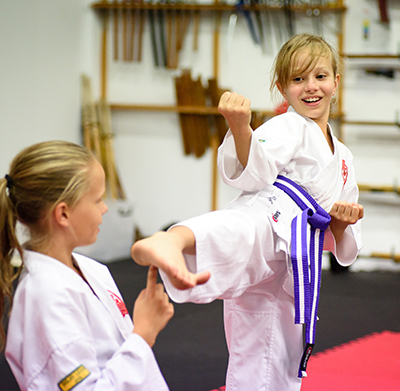 “Jorja’s confidence has grown so much in the short time she has been doing karate. Every chance she gets she wants to show all our friends and relatives what she has learnt. It is amazing how Sensei Adam gets all the kids to behave so well with out yelling, they all seem to want to do the right thing. When he calls for them to line up they all run straight to their places and stand very still! Jorja has so much fun during the classes and has made some great friends that she can’t wait to see again, it is easy to get her to class each night. 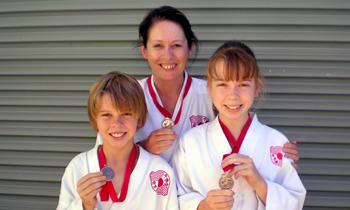 “We have been attending the Gold Coast Karate & Kobudo Centre for about four years. Initially we took my son, who was 4 years old, but about a year later I started going to karate classes myself, and now my youngest son also attends. I have been impressed with the professional attitude to karate training there. 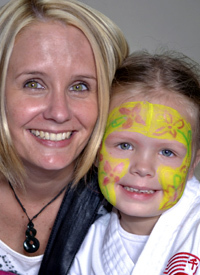 The emphasis is very much on safety and fun mixed with a little bit of discipline. The children appear to be pushed just enough. There are no minimum training requirements, so it’s up to you to either train hard or to take it easier and go only once a week, or less. The family classes as the name suggests allow the whole family to enjoy karate together, and the large number of other classes for different ages and skill levels mean that there is something for everyone to enjoy at their own level. I particularly like the way that gradings are only offered to those who are at the required standard, not used as a revenue stream or automatically awarded according to attendance record. 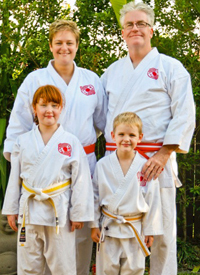 “What a great way to spend quality time with family and also enjoy the benefits that Karate provides. The Family Class gives us a chance to train in a fun environment with a great group of people. We include the Family Class in our weekly training so as we can motivate each other and work together to reach our goals.